Loose, lush and garden-y are some of the words we have been hearing this season. The vintage-garden look is very popular for bouquets as well as centerpieces. 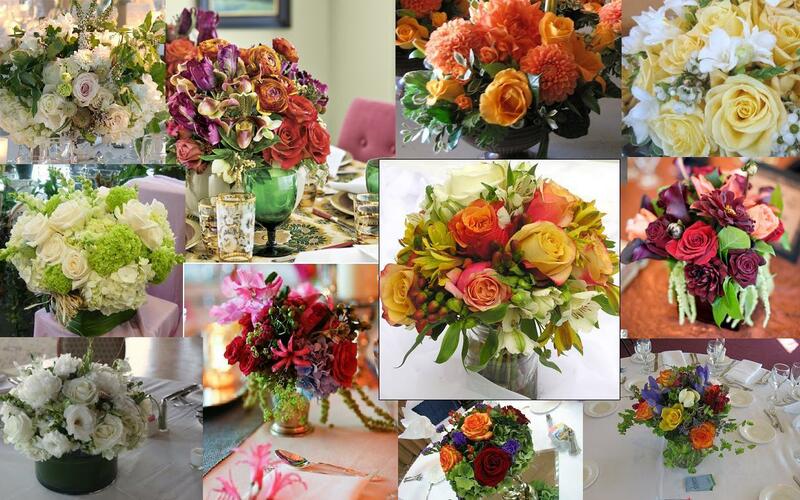 Here is a collage with some great examples of garden centerpieces with lots of texture. Our blog is full of other great examples of lush, vintage-style bouquets and arrangements. Look back at our past work!